Isn't it so pretty?! AHHHH! 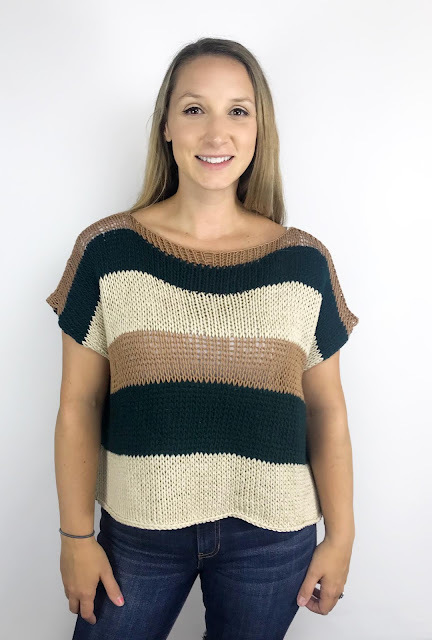 It's my favorite sweater I've made so far. 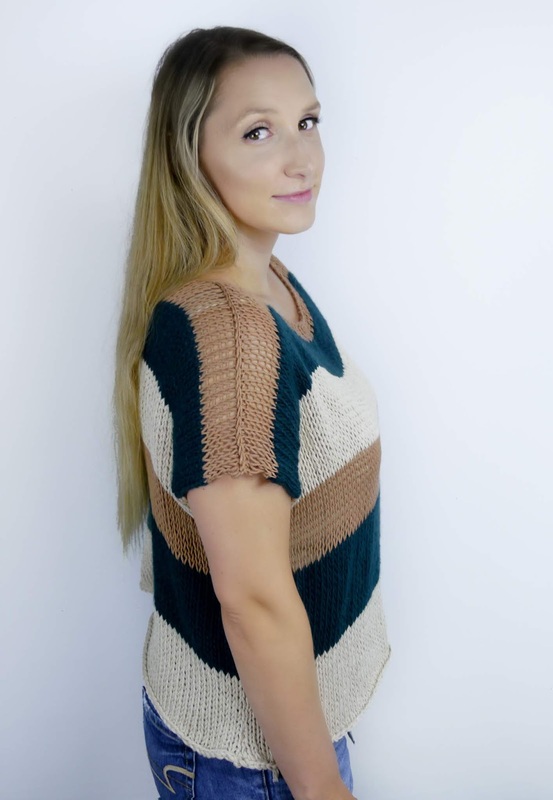 If you want to make your sweater longer or shorter, please do! Customize it, make this your own creation. That's what I love about knitting. But PLEASE show me how yours turns out! 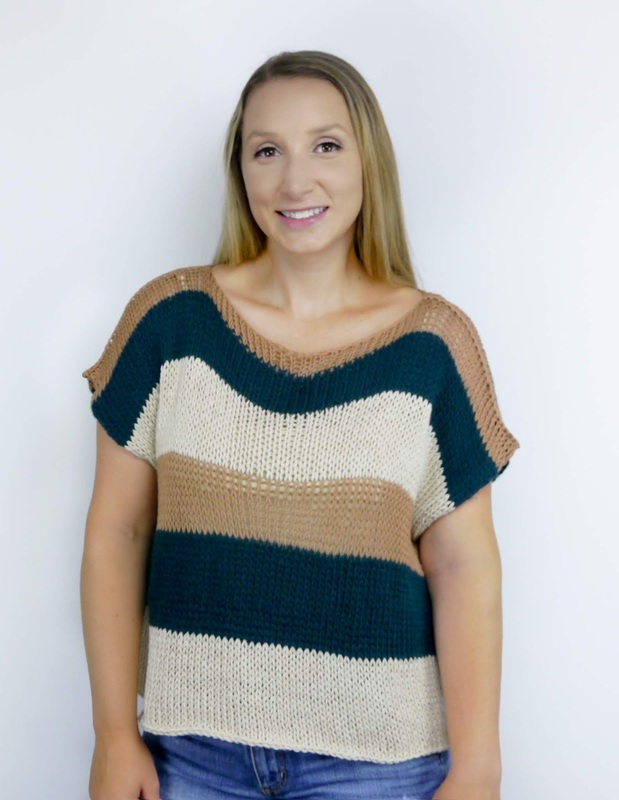 This pullover comes in sizes S, M, L, XL. Click here for all the sizes and for the .PDF pattern. -Size US 13 (9.0mm) Needles *MY FAVORITE!!! * Worth every penny, and you save $$$ because you can do everything with them! **Instructions for Size Large only** Click here for all the other sizes: iknitsshop.com or on Ravelry or Etsy. 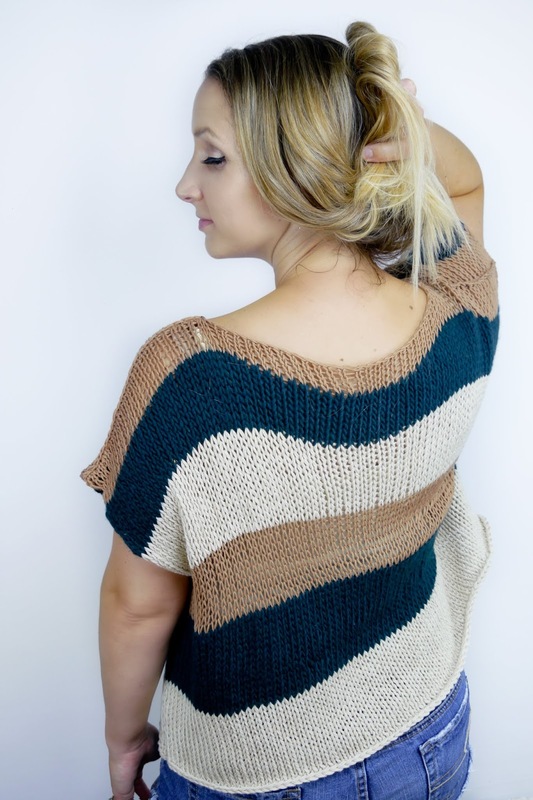 This sweater is made from the bottom up in stockinette stitch. Knit 2 rectangles flat and sew together. Row 1 and all odd rows (WS): purl all stitches. Row 2 and all even rows (RS): knit all stitches. Cut yarn leaving a 12" tail. With right sides facing up, using your tapestry needle, go through the 2 bars on the back piece of the last row from right to left. Now, go through the outer most V stitch on your front piece from the top to bottom. 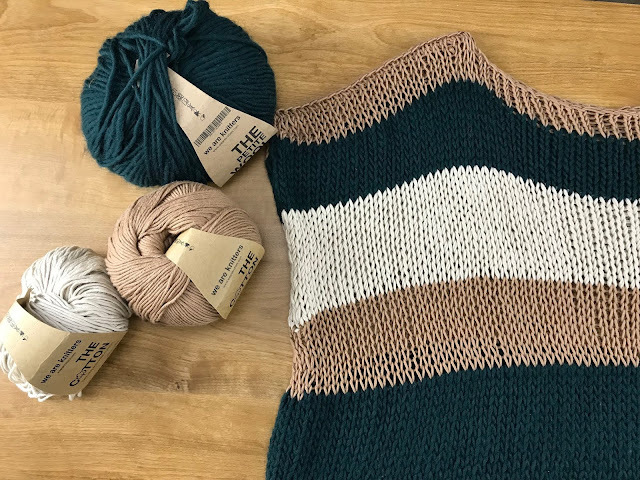 Go through the next braid(outer most V stitch) on the front piece from the bottom to the top and into the next 2 bars on the back piece from right to left. Go back into the same V stitch from before from the top to bottom. Repeat until you have 25 braids. Repeat on other shoulder. With right sides facing up, side by side, using your needle, go through the outermost horizontal bar switching back and forth on both pieces. Block your sweater | VIDEO TUTORIAL | It is very important to block your sweater once you are done. 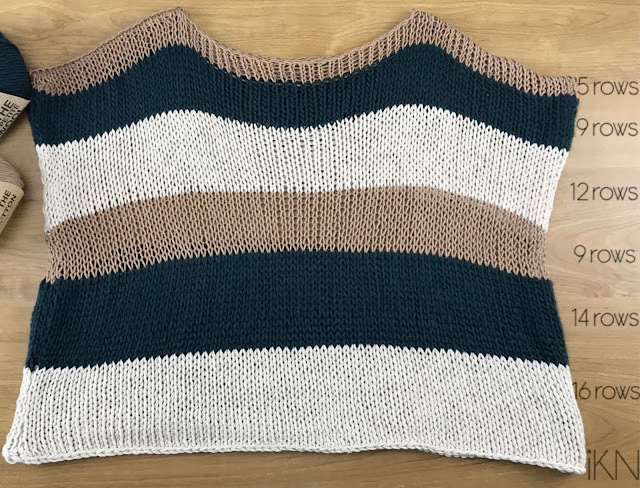 I blocked it by putting it in warm water with a little bit of liquid laundry soap, rinse, and hang dry as well as pulling on the sweater making it longer/wider. This is an original pattern by Christine Rosen of iKNITS. You may sell products made from this pattern by clearly crediting the design to me with a link to my site: www.theiknits.com. Thank you for being respectful and understanding.